When I started researching Isaac Frye, I had the easy-to-say idea of tracing his path on a map as he made his way through the American Revolution. In The War has Begun, I include transcripts from the two letters my family has preserved. One is from Isaac to his wife, Elizabeth, in 1775, and the other from Elizabeth late in 1776. I spent hours thinking about the story between the lines of these letters, and am grateful my cousin found these in the attic of Isaac’s house in the 1990s. Fast forward to this past Monday evening. I was having dinner in North Hampton with my uncle and cousin, celebrating getting the book published. My uncle asked to get scans of the two letters so he could share with others in the family. Last night we learned the steamer trunk where our two letters were found also contained five more documents wrapped within non-descript paper! Elizabeth Frye writes to her husband, Isaac Frye is quartermaster of one of the New Hampshire militia regiments of minutemen who responded to the alarm raised on April 19, 1775. The above letter is one of the five documents. How cool is that? 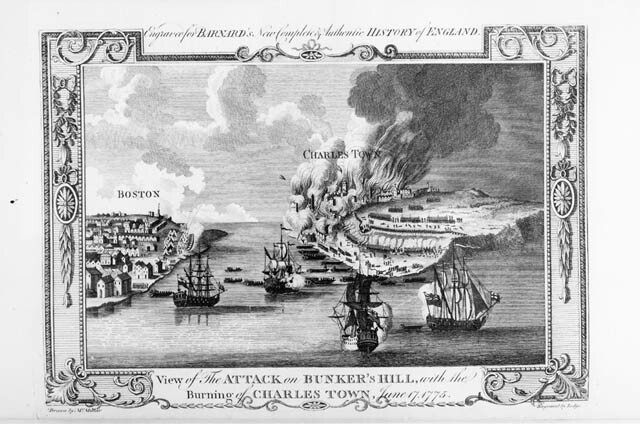 This letter was written two weeks after the alarm, and confirms the militia were being supplied by their families and towns during the early days of the Siege of Boston. The part about whether Isaac owed money to Jeremiah Abbot illustrates the difficulty the wives, who were forced into the role of agent for their husbands. Note: there were no banks in these days–IOUs served as contracts between neighbors.